Everyone knows where Memphis is and what this little Southern city is famous for. Between Elvis Presley and BBQ you can’t miss knowing this is a fun tourist destination, but what you may not know are all the great things to take in while in Memphis that are budget friendly and fun for the whole family. 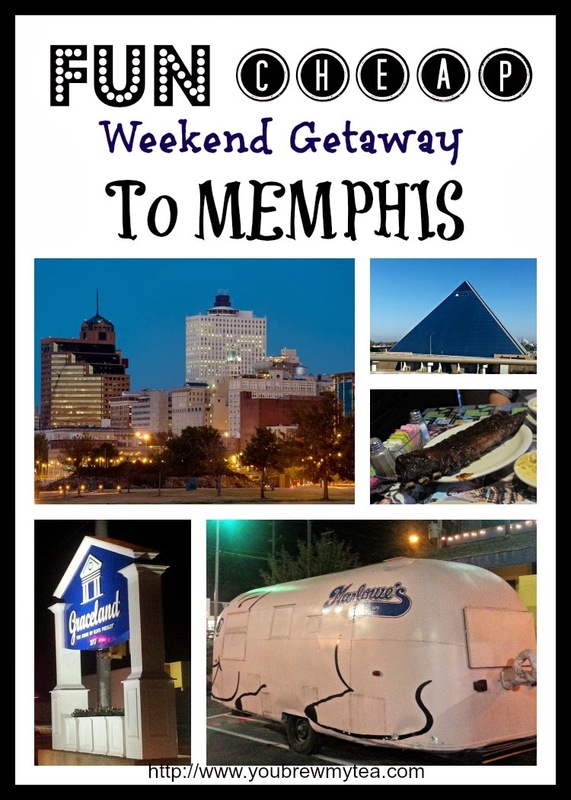 If you are looking for a Fun Cheap Weekend Getaway To Memphis or perhaps a week away during Spring Break or this Summer with the family, this often “adult” town offers a lot of fun opportunities for the whole family to relax, have fun and soak up some culture. HEAD DOWN BEALE STREET: Remember that the night life in downtown Memphis is always hopping and Beale Street is famous for live music, lights and great food. Blues, Hard Rock Cafe, Famous BBQ and more is always evident in this now historic landmark in the city. Just make sure that when you go you are aware it may not always be kid friendly. Stopping by earlier in the day is the best choice with kids, due to the not always but sometimes drunken behavior of party goers in the evenings. Always err on the side of caution when playing tourist with your kids. VISIT MUD ISLAND RIVER PARK: Open April-October each year this fun replica of the Mississippi River allows you to walk the length of the river and see all the ports of call, twists and turns and learn about how it has become one of the most important waterways in our culture. The Mud Island River park features the Riverwalk, a Monorail tour and even fun whimsical Pedal Boats. The Mississippi River Museum is full of information, fun facts and cool displays with something for everyone in the family to enjoy. The Mud Island Amphitheatre is the home of many top name concert bookings year round and a great place to take in an event with the entire family. Make sure to check their calendars for upcoming concert series and to book tickets. The best part about visiting this area is the low cost per person. Parts of the park are totally free or you can purchase tickets for the everything for under $15 per person Children 4 & under are free!). This is a great inexpensive activity the entire family will enjoy. VISIT THE PINK PALACE MUSEUM: This beautiful home in the heart of Memphis was once a home to Clarence Saunders founder of the Piggly Wiggly chain of Supermarkets. Not only does The Pink Palace Museum include a full scale museum with great artifacts regarding dinosaurs, rocks and crystals and their development over time it also includes a replica of one of the original Piggly Wiggly store layouts complete with original canned goods lining the shelves. The home houses various traveling exhibits as well as the standard museum exhibits that remain the same. The exhibits do change routinely so check the calendar of events to see what would be interesting to you. Housed in the same structure is a CTl 3D Giant Theater with various movies being shown on a daily basis. Most often these are fun educational 3D events. Finally you have the Sharpe Planetarium which is a fun and unique place to teach your children about the stars and galaxy around them. The presentation is beautiful and awe inspiring in a state of the art setup that will wow even the skeptics in your group. A complete package that includes museum tickets, a 3D movie and the Planetarium is $14.25 for a child and $22.25 for an adult (prices subject to change). It’s a great all day event for the entire family but especially those who enjoy the sciences. VISIT THE MEMPHIS ZOO: You can’t go wrong with a day spent checking out one of the best zoos in the region. The Memphis Zoo has animals on display from around the world, live interactive shows throughout and of course great places to stop for classic vendor foods this is an all day event the entire family will enjoy. The zoo day passes are only $10 per child and $15 per adult. A bargain for an entire day of fun the whole family will enjoy. EAT LOCAL BBQ: Whether you like traditional Memphis Style, dry rub, spicy or mild sauces you can’t throw a stone without hitting one of the local Memphis BBQ eateries. Ask your friends and family their favorite spots or check out local travel and food blogs for tips on best times and locations. Our family prefers the flavors of Marlowe’s (with the big pink pig out front) or the often popular Central BBQ. No matter what your budget, Memphis provides a great atmosphere of music and entertainment that will please the entire family. Kids of all ages will enjoy the lights and sounds found on Beale Street. Drive by Graceland and see if you can dance or croon like “The King”. Hang with the monkeys at the zoo or get your grub on at a local hot barbecue restaurant. Take a Fun Cheap Weekend Getaway to Memphis this week and come home with priceless memories to treasure for years to come.